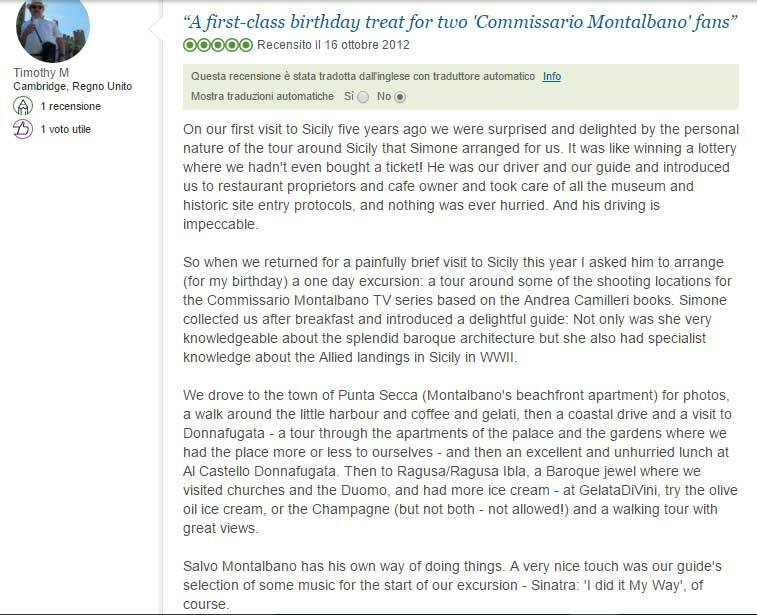 Let’s explore Sicily together, local friendly staff and comfortable vehicles at your disposal. Inspector Montalbano as well as the other Camilleri’s characters are not imaginable in a non-Sicilian setting. Sicily with its ambiguities, its passions, its flavors, its winkning and mocking inhabitants is an inexhaustible source of inspiration for the writer from Porto Empedocle. In his first novel, Camilleri candidly admits being unable to set a story in a different place. Montalbano’s Sicily is South West Sicily. 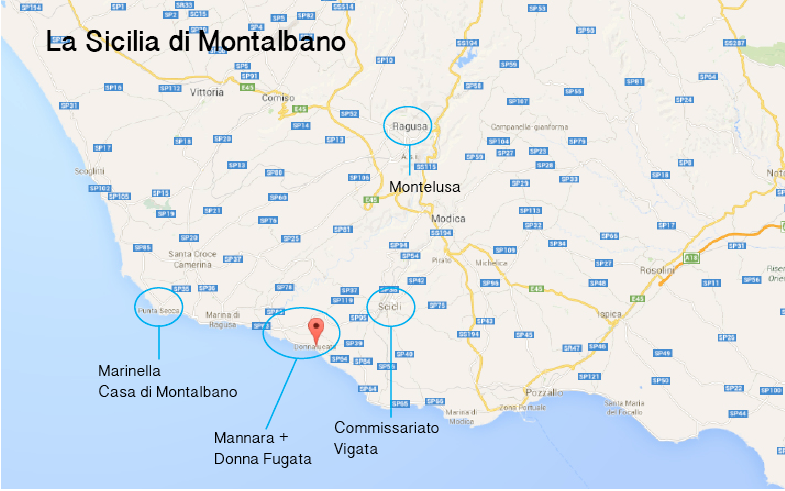 Vigata and Montelusa are places that cannot be found on the map but which are geographically located in the area between the hill of Girgenti and the Sea of Africa, Agrigento and Porto Empedocles. And then Fiacca (Sciacca), Fela (Gela), Muntiriali (Realmonte), Gaddotti (Giardina Gallotti), Raccadali (Raffadali) and so on, Coastal Sicily but also inner Sicily, harsh, parched, arid, barren with the houses built on the edge of the hills, almost ready to fall. Then, there is a different Sicily used as a set in the TV episodes, a number of different locations clustered around Ragusa in the island`s South East (Ibla, Scicli, Modica, Punta Secca and other seaside villages) and pieced together to create the fictional town seen in the TV films. A more gorgeous Sicily with breath-taking landscapes, Baroque churches and stunning views that has made millions of viewers in Italy and abroad fall in love with the area.